Tour Description: Enjoy 1 night stay at the recently renovated Leelanau Sands Casino Hotel with gaming stops at Soaring Eagle Casino, Turtle Creek and of course, plenty of time at Leelanau Sands. Receive up to $101 in casino incentive. This trip is one of the cheapest casino overnighters you can find. Don’t miss out! Casino Description: Soaring Eagle – You can feel your pulse quicken the moment you walk in the door. 210,000 square feet of excitement – that’s what you will experience on Michigan’s most action-packed gaming floor. There are also many new things here at Soaring Eagle! Brand new VIP area, Non-Smoking Room, Poker Room, new Sports Bar/Restaurant Ascend, new Deli, and updated Entertainment Hall. Let your hot streak begin at Soaring Eagle Casino & Resort. Turtle Creek – Winning is just the beginning at Turtle Creek Casino & Hotel, open 24/7! Our 56,000 square foot gaming playground offers endless fun and games with over 1,200 of the latest and greatest slot machines, all your favorite table games including Craps, Blackjack, Let It Ride, Roulette, private poker, and a high limit room, on one of the largest gaming floors in northern Michigan, and dine at some of the area’s best restaurants. The calendar is packed with tournaments and promotions year-round, along with a variety of dining and rooming options that make it the perfect place to play and stay. Points earned here are available at Leelanau Sands Casino as well. Points are only available on the Same Day. Receive up to $101 in Casino Incentives! 1:00 pm Arrive Turtle Creek. Receive $10 in coin & $2 in food. Earn up to an additional $20 back in CASH! (based on play) All points earned at Turtle Creek are good at Leelanau too. 5:00pm Depart for Leelanau Sands Casino. 6:00 pm Check into Leelanau “The lodge” Sands Casino Hotel. Receive $10 in coin & 2 in food. Evening at your leisure. Must receive AND turn in point by the end of day! Breakfast on your own. Use your coupon for discount. Receive $10 in coin at Leelanau Sands AND $2 in food. 1:30 pm Arrive at Soaring Eagle Casino. Receive $20 in slot play and $5 in food. 5:30 pm Depart for home. 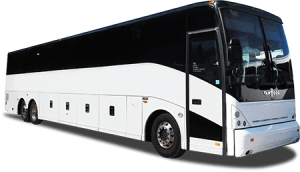 *By booking all parties understand that the itinerary is subject to change including but not limited to; dates, times, pickup locations, meals, tour inclusions, casino incentives, hotel accommodations, locations visited, etc. without prior notice.